On Thursday night, the impeachment of Brazilian President Dilma Rousseff triggered protests and riots across the Brazilian city of Sao Paulo. The decision made by the country's Senate divided Brazilian society, with some Brazilians believing that the move was nothing else but a seizure of power by the former Brazilian Vice President Michel Temer. Anastasia Raevskaya — On Wednesday, a majority of Brazilian Senators voted in favor of President Dilma Rousseff's impeachment. 61 lawmakers supported the move and 20 opposed it. Although the decision was not quite unexpected, it sparked protests among Brazilian residents and further deteriorated the fragile political situation in the country. When one would think about how Michel Temer actually came to power, parallels with fictional character of Frank Underwood from the famous American "House of Cards" series might involuntarily come to one's mind. One could witness Temer's rise from a state prosecutor, to the president of the Brazilian Chamber of Deputies and to being the country's vice president similar to Underwood who rapidly climbed his political career ladder from House Majority Whip for the Democratic Party to US vice president. Now, in a striking resemblance to the "House of Cards" screenplay, Temer has taken the Presidential seat after his predecessor Dilma Rousseff was accused of "corruption and financial maneuvering" and has been forced to resign (in the TV series it was President Walker who had to leave his post as result of Underwood's sophisticated machinations). The impeachment proceedings against Rousseff started in May after she was accused of concealing the budget deficit ahead of the 2014 re-election. Rouseff was suspended from office for 180 days and finally removed from power on Thursday. 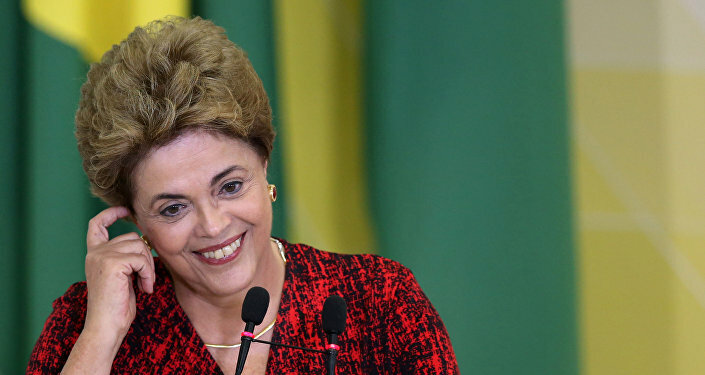 According to Brazilian analyst and PhD candidate at the Institute for Peace Research and Security Policy at the University of Hamburg, Fernando Preusser de Mattos, many Brazilians believe that this process has been decided too soon, even before Rousseff could defend herself. One of the main reasons for this, according to the analyst, is the struggle for power inside her own coalition. "Impeachment is a legal instrument that our constitution and a specific piece of legislation on the issue admit in a restricted set of crimes, including fiscal mismanagement," Preusser de Mattos told Sputnik. According to him, the Brazilian president cannot be removed from power due to lack of popularity, poor economic results or because she or he doesn't have the support of the majority of the congressmen. "That's why Ms. Rousseff insists she's not guilty: according to her defense, what she did while in office cannot be considered as so-called ‘crimes of responsibility'," the analyst said. "She argues not without reason that presidents before her and several state governors in Brazil did the same fiscal measures considered illegal in her case, though none has ever faced charges for it." Earlier, Rousseff delivered a speech at her impeachment trial, saying she had not committed the crimes she has been accused of. Over the last few months, she also repeatedly accused Temer of plotting a coup to seize power in the country. "Most rational and democratic solution to the current governmental crisis would be a new election. The problem is that Michel Temer doesn't have a real mandate. Thus the new president lacks social support, and this is particularly serious amid signs of an increasing social polarization," senior research fellow at the German Institute of Global and Area Studies (GIGA) Dr. Daniel Flemes told Sputnik. 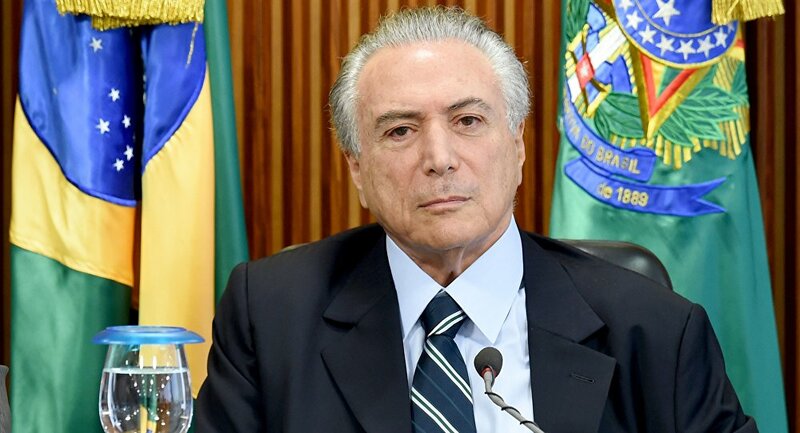 Following the Senate's decision, Temer was confirmed as the country's new President who will hold the post for the next two and a half years. According to Dr. Flemes, this term could be used by the new country's leader to stimulate the national economy and carry out corresponding reforms. At the same time, the expert noted that "the external factors, such as the changes in commodity prices and the developments in the US economy will have a great influence [on the economic situation]." He also added that most reforms, such as those in the judicial and political sector, could be implemented only in the long run. Whether Temer will undertake any measures to improve the country's economy and gain social support remains to be seen. Brazilian analyst Fernando Preusser de Mattos is, however, quite confident, that the new president is unlikely to run for 2018 presidential elections, let alone, guarantee himself a victory. According to official data, Temer has only 6% of public approval and is "not a guy everyone would want to see as a president." Thus, in contrast to his fictional counterpart from House of Cards, "he would not risk running for candidate and losing it all," the analyst concluded.